The new Hasbro Titans Return line up is a dream come true for a Headmasters fan like me. As soon as I heard we were going to be getting deluxe and voyager headmasters I could hardly contain my excitement. The best part of this all is that Hasbro had announced that all 7 of the original G1 Headmasters from the Headmasters cartoon would be available in the first 2 waves! 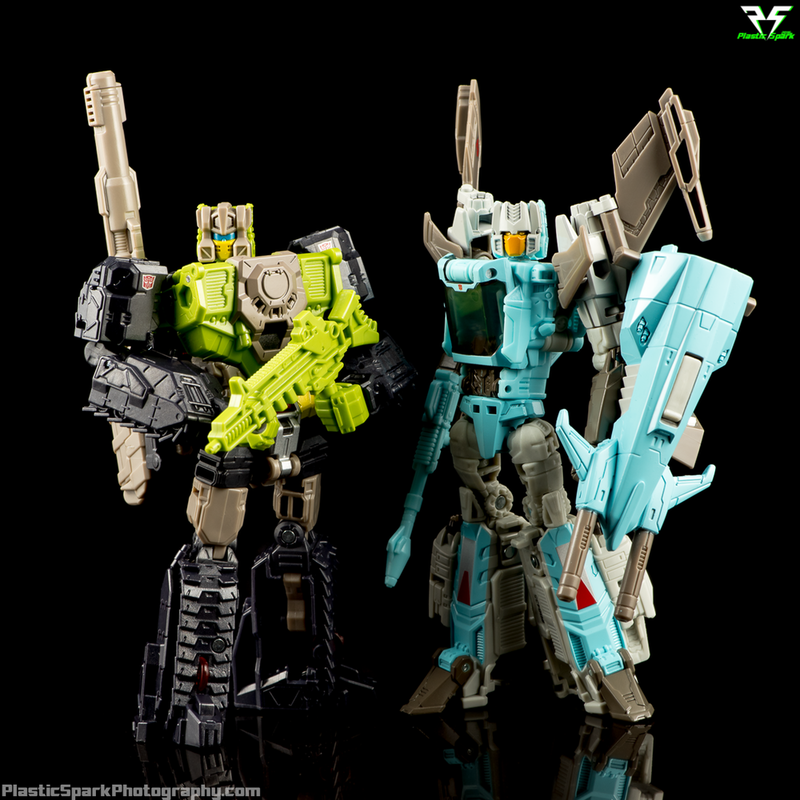 Then I heard the bad news; Deluxe Brainstorm is going to be an exclusive figure, only obtainable via the San Diego Comic Con exclusive Titan Force set. I wanted a complete set of cartoon Headmasters so badly but would I be willing to pay the premium for an SDCC exclusive set? 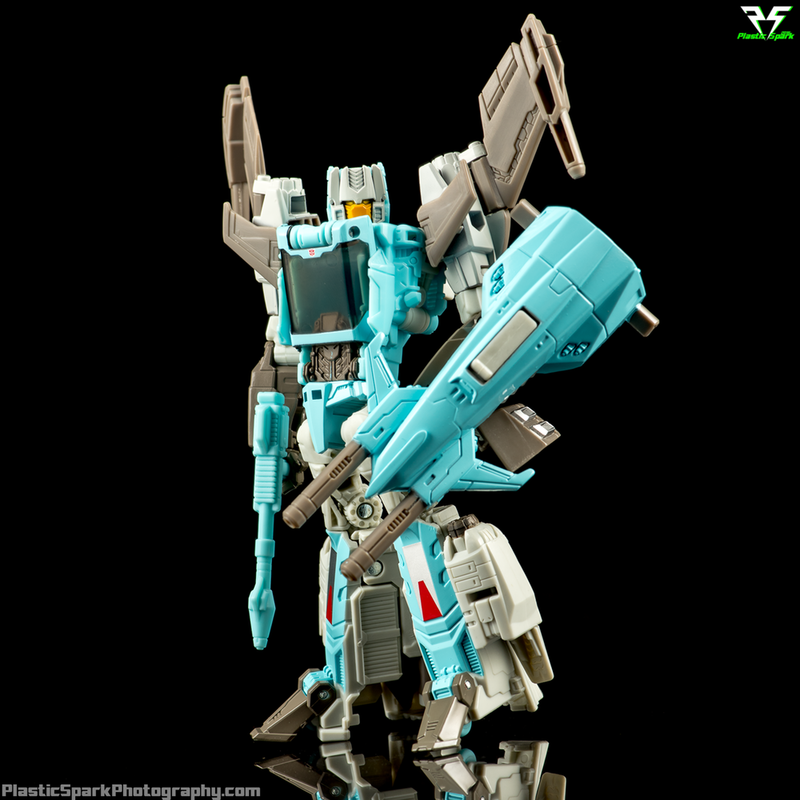 Then along came some good news; Brainstorm will be available as a single carded figure! Then more bad news; He’s a Walgreens exclusive. This might not seem like that much of a hurdle but up here in the Great White North there isn’t a Walgreen’s store to be seen. So with only my money to lose I got a friend of mine who was attending SDCC 2016 to bring me back the Transformers Titan Force box set. With the USD-CAD exchange rate the set ended up well over the $100 mark for 2 deluxe figures and a voyager. I was mortified with myself. How could I spend so much on 3 main line figures? I had started to regret my decision as I waited on my friend to return with the set. 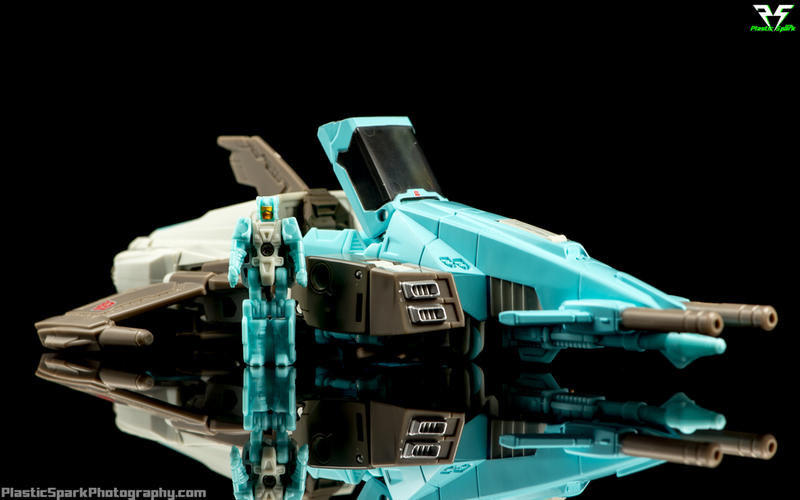 I can honestly tell you that once I took Brainstorm out of the packaging all of my fears and regrets melted away, replaced by pure new toy joy. Enough of my nonsense. 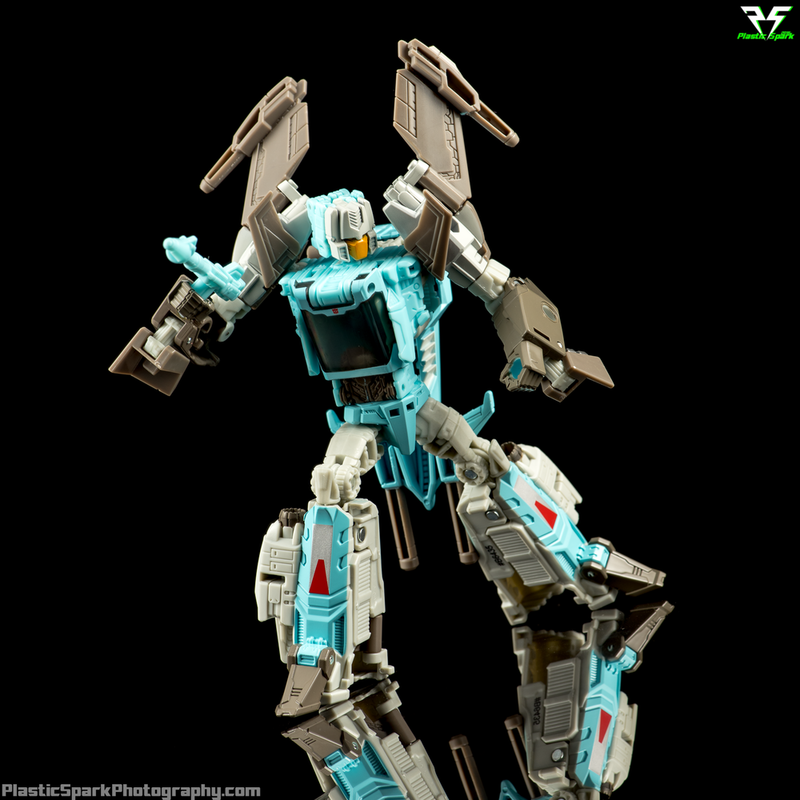 Let’s get a look at the SDCC 2016 Titan Force exclusive Deluxe Brainstorm! 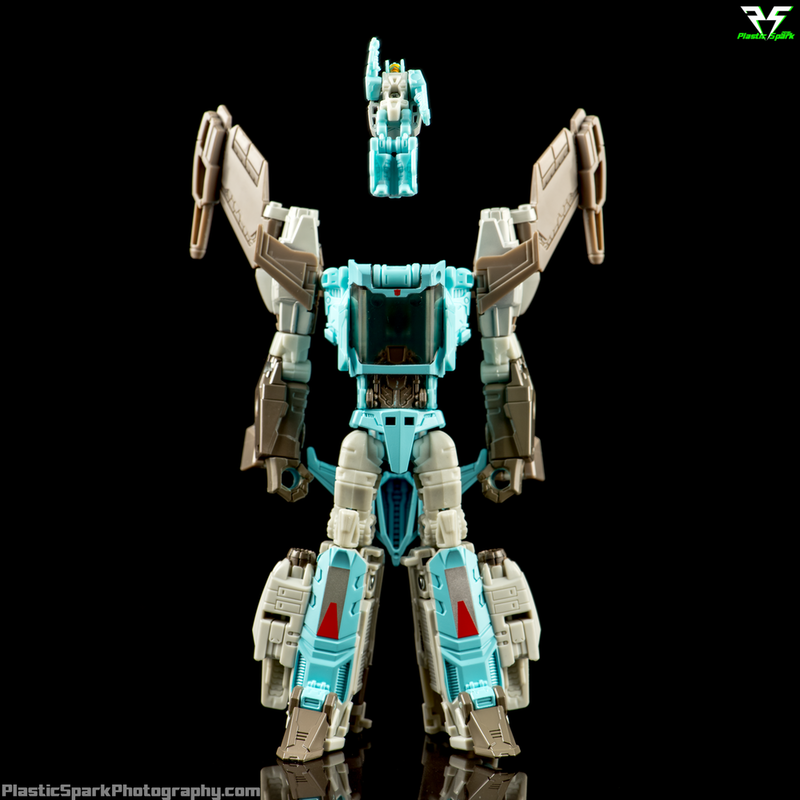 Brainstorm is a retool of the Titans Return deluxe Blurr figure. Let’s just get that out of the way. It’s pretty obvious looking at him that the core figure is nearly identical. 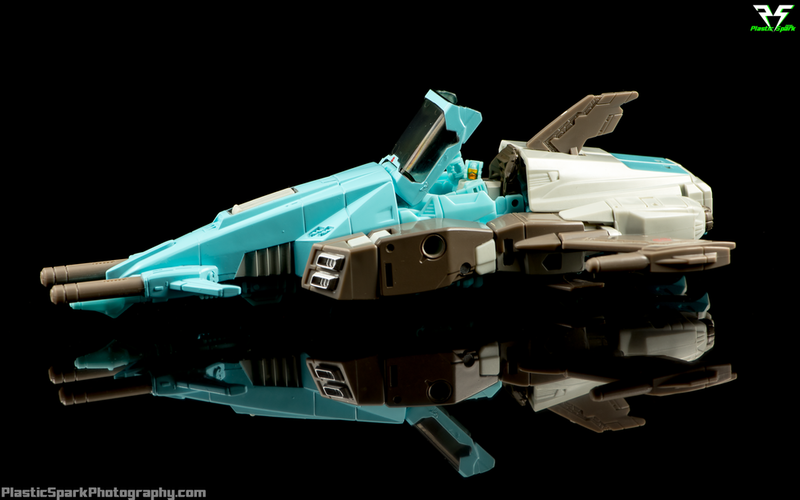 That being said, it really works for Brainstorm. The added wings and nosecone really sell this alt mode as a fast and agile space fighter. I like all the vent and thruster detail and the working cockpit and seat are a nice touch. Good thing this isn’t a ship designed for an organic pilot! There is a gap between the edge of the cockpit and the pilot’s seat that is a bit ugly. It would have been nice to see a seamless connection there but considering how much this vehicle mode does right, I won’t pick on it for this one design flaw. There are rolling wheels on the bottom of the ship that serve as landing gear and the rear wings are adjustable. The blasters on the nose are molded into the front of the ship and are not removable. The front of the ship can be removed to serve as a sort of battle sled for a Titan Master robot. "Pew Pew" That's the sound it makes right? Transformation on Brainstorm is simple but satisfying. It reminds me of the simplicity of some of the Combiner Wars transformations coupled with the kind of deluxe figures we got during the Thrilling 30 line up. Everything locks in tight and the joints are all nearly perfect on my figure. The Titan Master figures are simple but effective robots who fold their arms to the side and legs to their chest to become the heads of the larger robots. 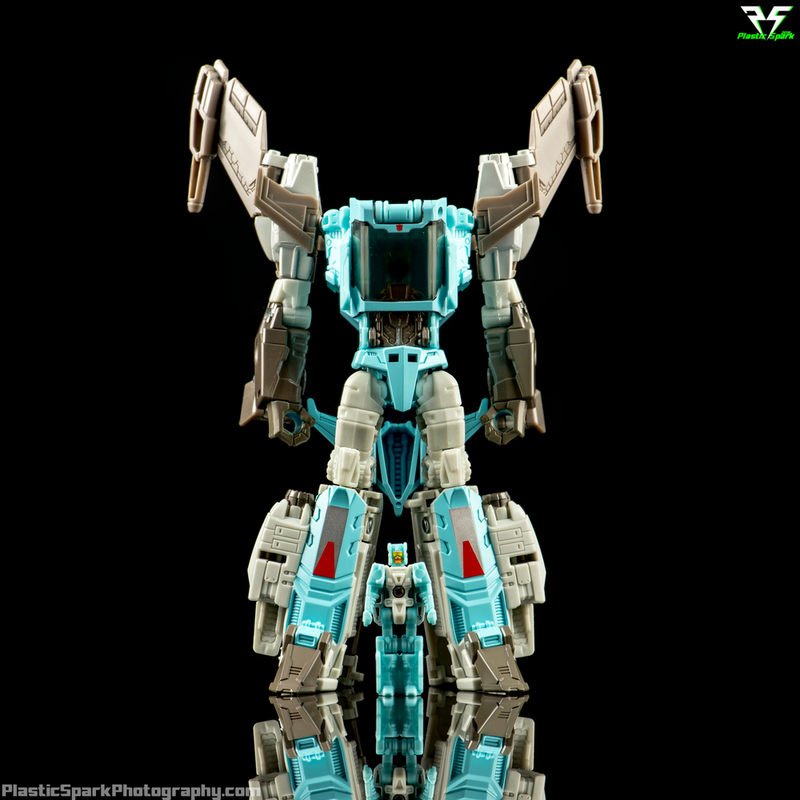 Brainstorm is a great looking figure. He’s got tons of sculpted detail and his bot mode proportions are perfect. 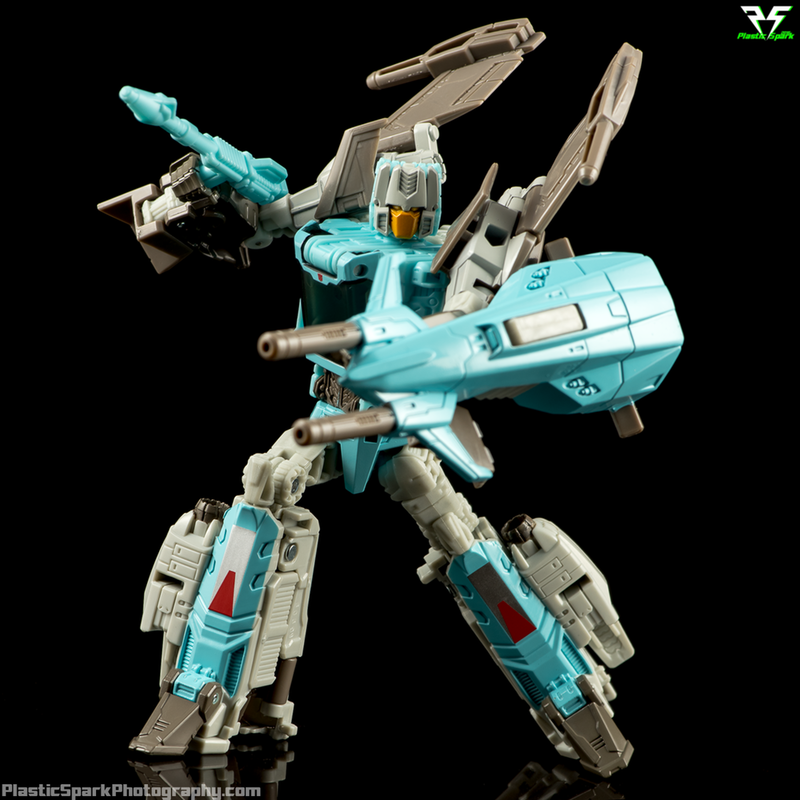 I love the mint blue MTMTE inspired color on this SDCC version. The faceplate on the headmaster is incredible considering the size of the head and I found the boxy head shape to work well with this particular figure. The tampograph details on the knees and the tiny Autobot insignia on his chest are crisp and without flaw on my copy. I wish he had double elbows and knees but honestly he works well with what he’s got for articulation. If I had 1 request it would be some sort of ankle/toe tilt. The way the toes fold out from the front of the calves just begs for there to be a pivot joint at the base. They are sculpted in a slight “A” stance though so I’ll take what I can get. "Ship's genius at your service"
Brainstorm’s blaster is a 1 piece molded weapon in mint blue that looks a bit underwhelming in his hands. It kind of looks like a null ray off of a deluxe size seeker. His trademark handguns are unfortunately molded in to the cockpit piece and cannot be removed for separate use. He can however wield the cockpit piece, guns and all, as a shield or gigantic forearm blaster weapon. I like the option to have the cockpit clip in to his back for storage, and it can be removed if you don’t want him to have such a huge backpack.